Dear Mr. President: Act now!!! Sir, I regret to say that this morning, I am furious with you. Because of your inaction on the Standing Rock situation. 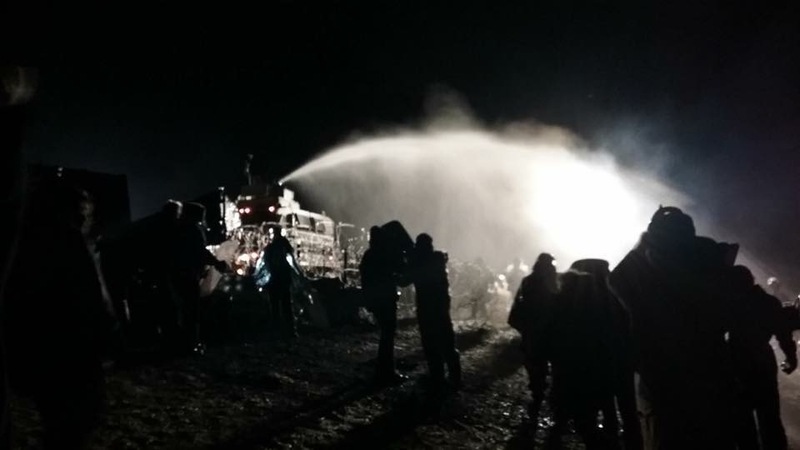 I know you know what is happening in Cannon Ball, North Dakota, where thousands of peaceful water protectors are being attacked and abused by law enforcement personnel who apparently think they are at war. There is no way that you can not be aware of what is happening there. Anyone who watches any news knows what is happening there. 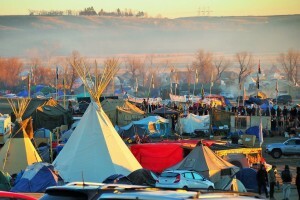 The Standing Rock Sioux Tribe, along with more than 300 other indigenous nations around the world, has taken a courageous stand against the Dakota Access Pipeline, which threatens the water of 17 million people in this country, and which is completely unnecessary, given that oil companies are declaring bankruptcies in the North Dakota Bakken oil fields. 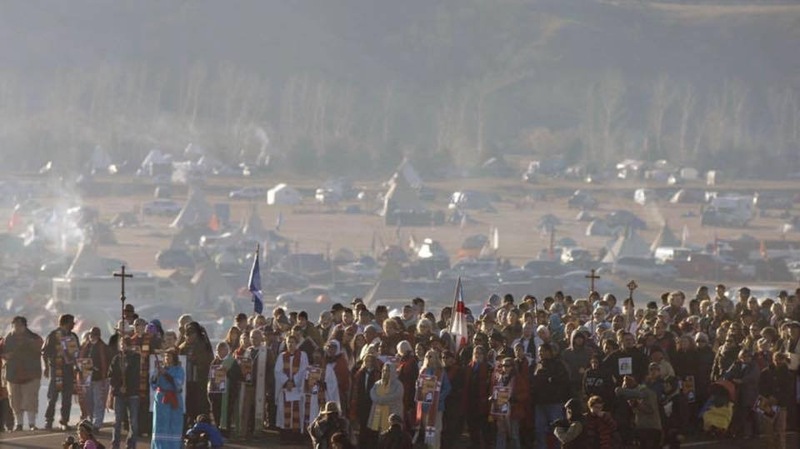 The Standing Rock Sioux Tribe, along with more than 300 other indigenous nations around the world, are desperately trying to protect sacred land where their ancestors lived, died and were buried, land that is being trampled on, dug up and desecrated by Energy Transfer Partners and law enforcement. What is most infuriating is that you doing nothing while innocent people are being beaten, tear gassed, shot with rubber bullets, beanbags, and concussion grenades, and soaked with water cannons in freezing weather. These water protectors, who are standing up for their constitutional and treaty rights, are being treated like criminals. They are being treated like African Americans in Alabama in the early 1960s. And yet you do nothing. You make no statements, other than announcing your intention to “letting things play out” for a few more weeks. And while you wait, hundreds are being harmed. 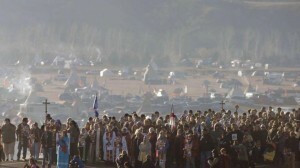 To add insult to injury, on the very day you declare Native American Heritage Day, on the very day you recognize the importance of Native Americans to the very essence of the nation, on the very day you claim that your “Administration remains dedicated to the strengthening (of) our government-to-government relationships with tribal nations,” your own Army Corps of Engineers announces that it will be shutting down the Oceti Sakowin camp on federal property next to the Missouri River on 11 days’ notice. You declare that we should take time in November to “celebrate the traditions, languages, and stories of Native Americans and ensure their rich histories and contributions can thrive with each passing generation,” and yet turn a blind eye to the atrocities – and yes, they are atrocities – taking place in North Dakota. Sir, do you see why I am furious with you? How can you sit idly by while people are being attacked, while their constitutional rights to free speech and free assembly are being violently suppressed? Have you seen the tactics of the Morton County Sheriff’s Department and all of the assembled supporting law enforcement agencies, including the National Guard? Have you seen the law enforcement personnel’s riot gear and military equipment, worn to “protect” them from peaceful, prayerful water protectors? Have you heard the Long Range Acoustical Devices being deployed against people who are praying? Have you seen the brutal attacks on innocent people? Have you heard the cries of pain as these water protectors are being shot? Being beaten? Being tear gassed? Being pepper sprayed from less than 5 feet? Mr. President, where are you?!?! It was not a clash of armies, but a clash of wills; a contest to determine the meaning of America. And because of men and women like John Lewis, Joseph Lowery, Hosea Williams, Amelia Boynton, Diane Nash, Ralph Abernathy, C.T. Vivian, Andrew Young, Fred Shuttlesworth, Dr. King, and so many more, the idea of a just America, a fair America, an inclusive America, a generous America – that idea ultimately triumphed. How, Sir, can you remain silent when that same clash of wills, that same contest to determine the meaning of America, is taking place in Cannon Ball, North Dakota? 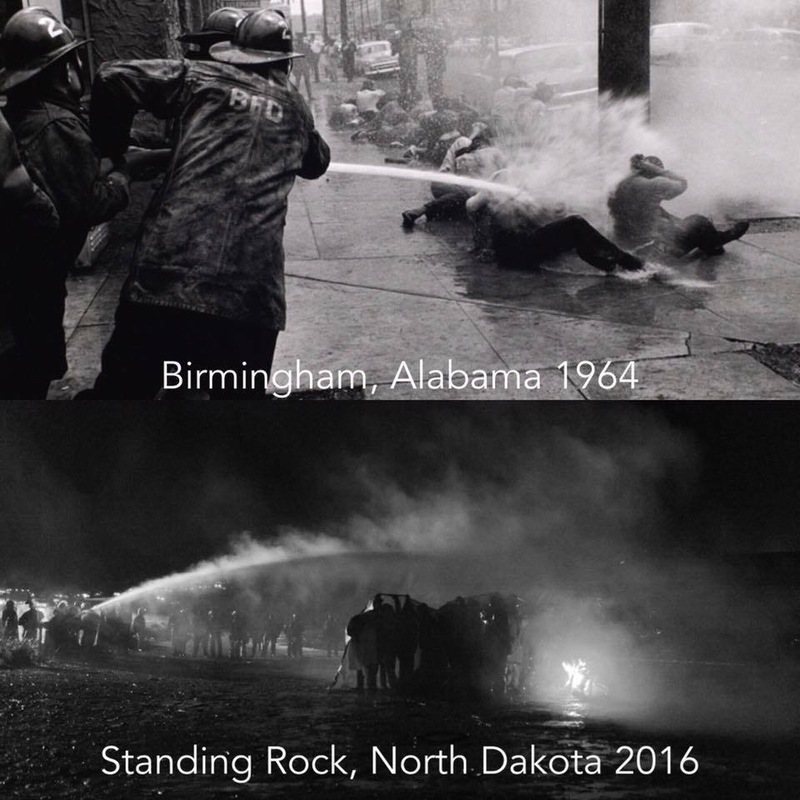 How, Sir, can you do nothing when the exact same brutal acts that took place 50 years ago in Alabama are happening now in North Dakota? This is why I am furious, Mr. President. The Army Corps of Engineers has announced that it is closing the peaceful camp where thousands of people have assembled to take a courageous stand against the blasphemous, filthy, unnecessary Dakota Access Pipeline. It claims to be doing so for the “safety” of the people. You, Sir, need to act. You, Sir, need to overturn the Corps’ decision. You, Sir, need to protect the people of this nation, the First Nations people who are trying to protect the water and the sacred land. You, Sir, can no longer be silent. We who support the Standing Rock Sioux Nation and all of the other indigenous nations demand that you intervene, that you act, that you protect the very people you claim to admire. You made promises, Sir. You came to the Standing Rock Reservation in 2014 and promised to help. You gave your word, Sir. Now we are holding you accountable. Stand up for Standing Rock, Sir. We are begging, we are demanding, that you act now. Until you do, I fear I shall remain furious with you.